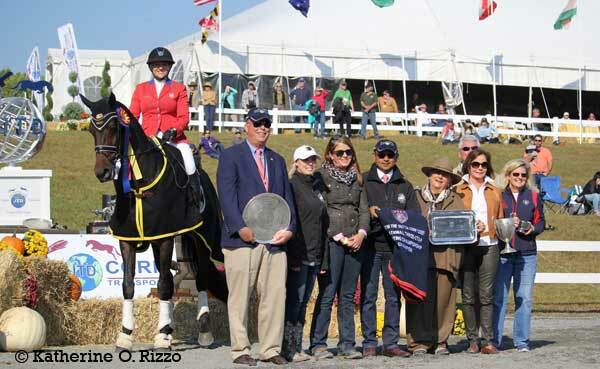 Marilyn Little is no stranger to the Fair Hill International and has found her self in the ribbons of both the CCI2* and CCI3* on several occasions. However, the prestigious championship rosette and The Fair Hill Bronze have eluded her… until this year when she took home not only the championships, but the reserve championship as well. 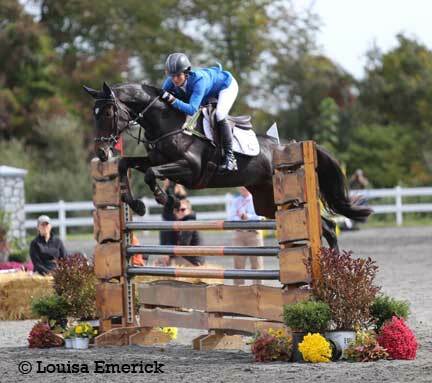 On Friday, Marilyn showed that she has a stable full of quality horses when she scored a 44.6% with her longtime four-star partner RF Demeter, owned by Raylyn Farm, Jacqueline Mars and Pat Witte. The pair moved into second place behind RF Scandalous heading into Saturday’s cross-country phase. 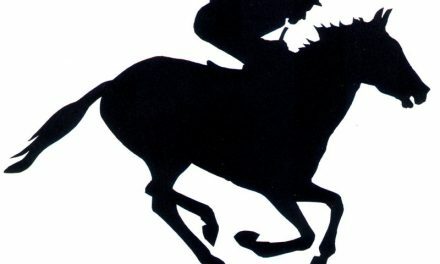 The 14-year-old Oldenburg mare jumped around clean and inside the time to move into first place ahead of RF Scandalous by just over one point. RF Demeter was later awarded the Fitness Award for being the best-conditioned three-star horse. The ground jury at the final horse inspection accepted both mares Sunday morning and Marilyn rode RF Scandalous first in the middle of the division. The mare was spot on, leaving all rails in their cups and finishing inside the time. This secured at least the reserve championships for Marilyn. Rails began to fall as the top ten jumped around Sally Ike’s course, shaking up the standings quite a bit. When Marilyn entered the ring with RF Demeter, she was only 1.7 points ahead of RF Scandalous and five points ahead of Hannah Sue Burnett and Under Suspection, who moved up into third place after jumping double clean. RF Demeter jumped brilliantly around the most of the course but knocked a rail at the first element of the triple combination. With the one rail falling, RF Demeter had to settle for the reserve while her stablemate RF Scandalous moved back into first for the win. “I really couldn’t have had a better day with these two,” Marilyn said smiling at the final press conference. 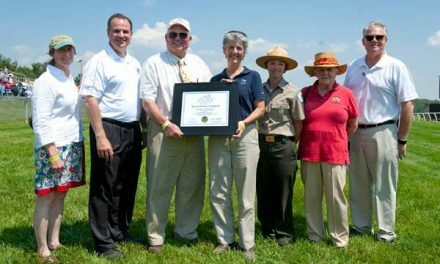 Also completing the CCI3* this year from Maryland were Colleen Rutledge (Frederick), Savannah Fulton (Finksburg) and Lillian Heard (Poolesville). Colleen and Escot 6 moved up in the standings after jumping double clean to finish in 22nd place. Savannah and Captain Jack had a near miss coming into the triple but recovered well to only have that one jump down. They finished in 29th place overall. Lillian and Arundel finished in 30th place after having three rails drop. Grace Fulton of Finksburg impressed everyone with her nearly flawless first FHI appearance. Grace rode Wild Orange for Sharon White to a 61.4% on the second day of dressage to sit in 36th place. The pair ran around the CCI2* course like old pros jumping clean with 12.8 time faults. They moved up to 19th place after cross-country and stayed there when one rail fell in show jumping. 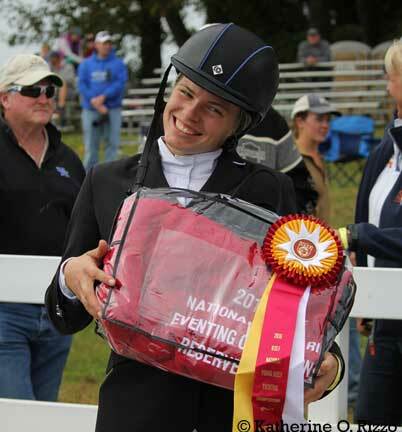 Grace ended up not only being the top Marylander in the division, but the second highest young rider earning the 2016 Young Rider Reserve Championship. Cary Chavis of Washington, DC also was competing at the FHI for the first time this year. He and his own Game On had a rough start scoring a 72.7% on the first day of dressage to sit in 43rd place. They jumped clean on cross-country moving up to a tie for 27th place with 14 time faults. Even with two rails dropping in show jumping, the pair moved up to 26th place overall. This year’s CCI2* was won by Jennie Brannigan of Pennsylvania riding Stella Artois. 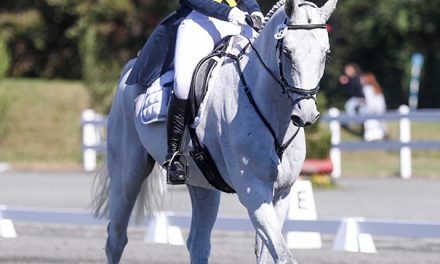 The pair scored a 44.5% in dressage to sit in second place and then moved into first after jumping clean and inside the time on cross-country day. They jumped double clean again in show jumping to win on their dressage score. For complete results from the 2016 Dutta Corp. Fair Hill International, click here.